1. 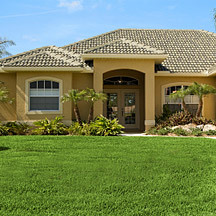 Apply a weed and grass killer to the old lawn. Make sure to use a pump sprayer to apply the product on your lawn. It's also best to use a powerful, commercial grade product to ensure you kill all of the existing weeds. If you have pets or kids you will want to keep them away from the area while you are spraying and for a day or two afterwards. 2. Let it set for 7-10 days. If you have a serious weed infestation, you may want to repeat this step to be sure you get rid of everything before installing your new sod lawn. 3. Use a sod cutter to cut out your old lawn. You can rent a sod cutter from your local home improvement warehouse if you don't own one. 4. Till the area to loosen the soil and get rid of any lingering roots. 6. Add new soil to the area. 7. Blend the new soil in with the existing soil using a rototiller. 8. Slope for drainage if needed and check your irrigation system. There's nothing worse than installing a brand new lawn and then discovering that it's not draining properly. This can lead to unsightly water pockets that form between the soil and the layer of sod. 9. 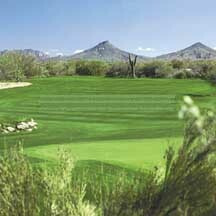 Measure the total area and get your Tucson sod order ready. 10. 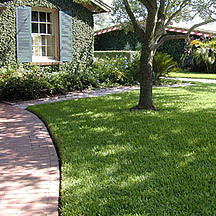 Select the best type of Tucson sod for your landscape and place your order. 11. Install the sod with a sod roller. It's important to install the sod the same day it arrives as it is a perishable, living product that needs to be planted right away for the best results. 12. Water thoroughly for the first week, but do not water at night. Watering at night stimulates fungus and disease, and no one has time for that! So do yourself a favor and water during the daytime only. 13. Do not cut the new sod for at least three weeks. 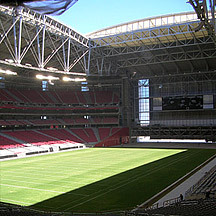 For more information on how to install a new Tucson sod lawn, visit .